Los Angeles Superior Court Judges James R. Brandlin and Maren Nelson will be taking over two of the court’s top administrative posts, the court said Friday. A courts spokesperson said in an email that Brandlin will be the new supervising judge of the criminal departments, effective next Monday, while Nelson will helm the family law departments beginning Dec. 1, sitting in Dept. 2. Brandlin will be moving from Dept. 123 at the Foltz Criminal Justice Center to the supervising judge’s Dept. 100. The current supervising judge, Charlaine Olmedo, will be moving to Dept. 105 at Foltz. Judge Bob Bowers Jr., who previously heard death penalty and other major criminal cases in Dept. 105, did not run for re-election and retired Oct. 31. Other changes in the administration of the criminal courts will take effect Dec. 1. 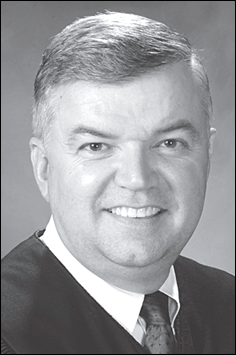 Judge Scott M. Gordon, the current supervising judge in family law, becomes assistant supervising judge of criminal, replacing Brandlin in Dept. 123. Judge David Herriford becomes assistant supervising judge of criminal/ misdemeanors, sitting in Dept. 56, while Judge Michael Garcia becomes assistant supervising judge of criminal/ traffic, replacing Herriford in Dept. 71. Also, Judge Shelley Torrealba become site judge in East Los Angeles, sitting in Dept. 1 there. She switches with Judge Karla Kerlin, who replaces Torrealba in Dept. 37 at Foltz. Although the assignment was not among those listed Monday, sources told the MetNews that Judge Hank Goldberg will be the new assistant supervising judge in family law. In another major change, the court is moving its North Valley District family law departments, which have been located in the San Fernando courthouse since it opened—except when they were displaced due to an earthquake—to Chatsworth. Moving from San Fernando to take over those departments are Judge Lloyd Loomis, who will sit in Dept. F51, and Commissioner Patricia Ito, who goes to Dept. F48. They will be joined by Judge Susan Lopez-Giss, who moves from Dept. B at Pomona South to Dept. F46. Lopez-Giss will be replaced in Pomona by recently appointed Judge Richard Burdge, who now sits at the Metropolitan Courthouse. 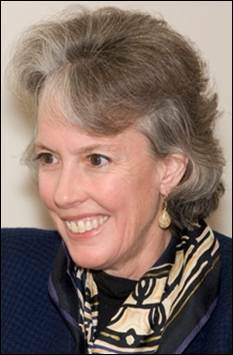 Bowers, 67, steps down after 21 years as a judge, following seven years as a commissioner. A Los Angeles native, with an undergraduate degree from California State University, Los Angeles and a law degree from UCLA, Bowers had his own practice from 1976 to 1986, when he was appointed a commissioner of the old Compton Municipal Court. He was previously a staff lawyer at NBC in Burbank and before that an associate at the firm then known as Nossaman, Waters, Scott, Kreuger & Reardon. Then-Gov. Pete Wilson named him a judge of the Compton court in 1993, and he became a Superior Court judge through unification in 2000. He will be succeeded by Deputy District Attorney Joan Chrostek, who won the seat in the June primary.